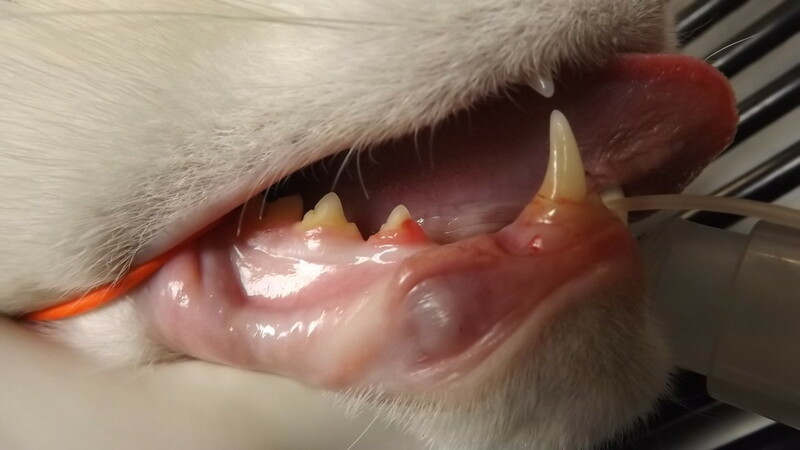 Feline Tooth Resorption? Or Not? So many times, I am at work, doing a dentistry, and I think, “Oh boy, I wish everyone could see this!” That is how these little blogs are created. This is my way of bring you table-side with me. Yesterday, I was performing a COHAT (Comprehensive Oral Health Assessment and Treatment) on a 6 year old, Male/Neutered, Domestic Short Hair. As soon as he was intubated and all of the monitors hooked up, we did our first unconscious (for the cat) oral exam. 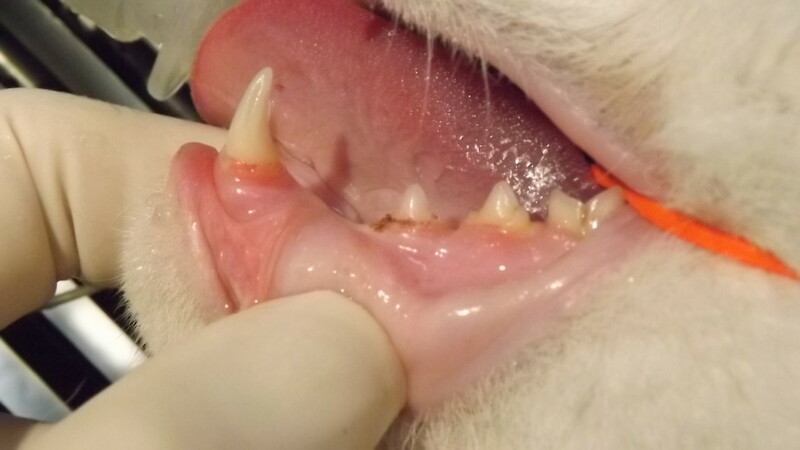 There were localized areas where the gingiva was “climbing” the tooth. Immediately, the anesthetist and I were mentally preparing for extractions. This needed to be carefully assessed as does any pathology. An explorer was employed to see if there was any disruption of the enamel. It did not appear to be the case. The explorer rode smoothly over the enamel and the furcation was smooth as well. A periodontal probe was used to lift the tissue as well blowing a gentle stream of air from the air syringe under the gum to visualize what lies beneath. Then an intraoral X-ray was used to evaluate the tooth radiographically. 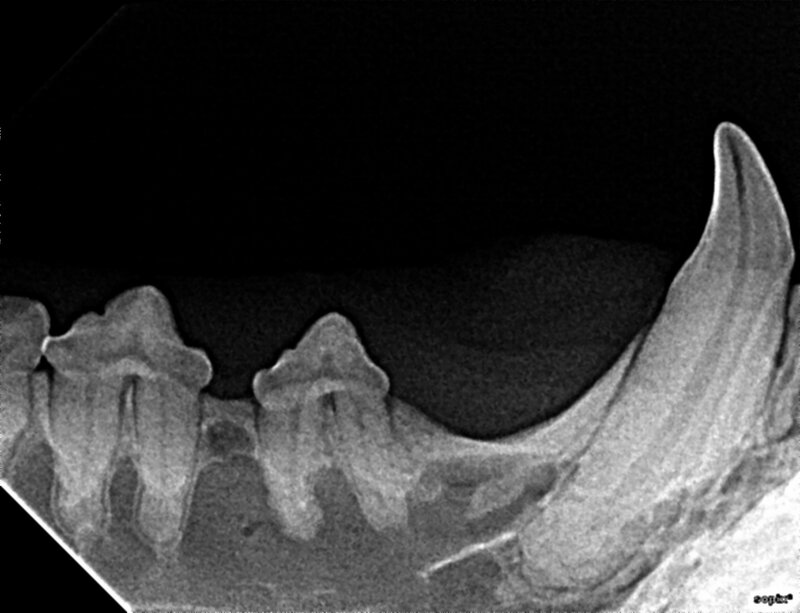 So, this ended up being a case of gingival hypertrophy and NOT a tooth resorption. Without careful examination of this pet on a tooth by tooth basis, how would one know for sure? How would the clinician know how to make recommendations for care? 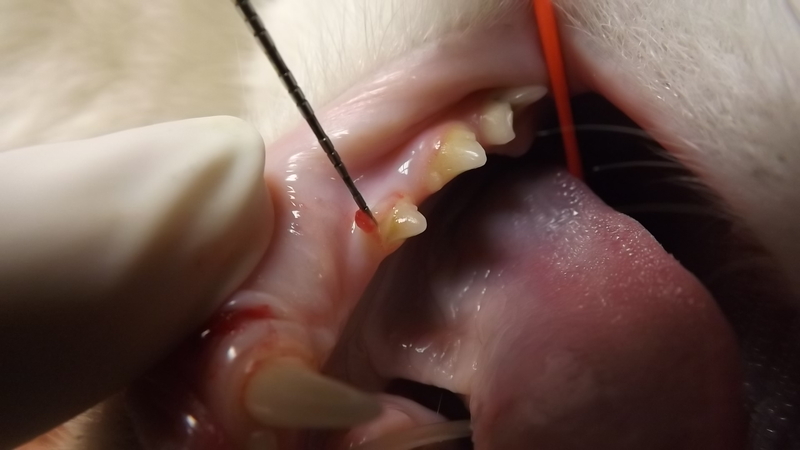 In this case, a minor gingivectomy was recommended and the offer for biopsy was made. The biopsy was declined and the declination was noted in the medical record. A scalpel blade was used to return the gingiva to its normal margin and cauterized. Gingival tissue does not adhere to enamel. So, returning the tissue to the normal architecture allows better health for that tooth and more effective tooth brushing by the owner, which we were quick to stress. …and that is what I couldn’t wait to share with all of you today!